Jay and his family are moving to Maine again...perhaps for the summer...perhaps for longer. I was stoked when I found out that he was moving back to California from the Philippines. I thought we'd get a chance to get some more Rain Station music recorded and get to hang out, laugh and "be us", but then he ended up in Stockton. Recording music while he was living in Pacifica was hard enough, but Stockton seems like a whole 'nother world. We didn't get to see each other...not even once. So Jay is going away - this weekend. 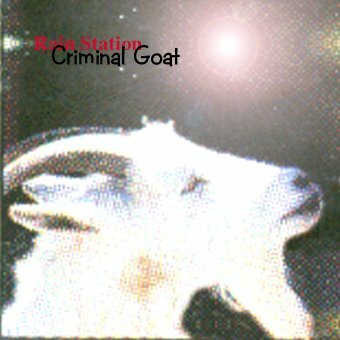 Tonight's song is "He Went Away" from Rain Station's Criminal Goat CD. Criminal Goat by Rain Station Travel safe, my friend. Know that you even though Maine might be your "Summer Home", California is always eagerly awaiting your return.